WHY IS CENTRAL INDIANA MOISTURE CONTROL IMPORTANT? Mold is a symptom. As with any unhealthy condition, whether it is our personal health or the healthy environment of our homes or businesses, it is best to address the root cause and not just the symptoms. Mold needs food and water to grow, and most building materials are excellent food for mold. So the root cause of mold concerns in a home or business is moisture. This is why moisture control is so important to ensure a healthy environment and the peace of mind that the conditions where mold can grow will not be present where you live and work. When it comes to guarantees with regards to mold and mold remediation, the only way to truly guarantee that mold will not grow or return following a remediation is to control the conditions, most specifically moisture. We would rather prevent a mold concern through proper moisture control than have to remediate mold from your home or business. This is why we are increasing our focus on moisture control in all areas of homes and businesses, especially those areas most affected or most likely to be concern such as crawl spaces, attics, and basements. WHAT ARE COMMON PLACES FOR MOISTURE ISSUES IN CENTRAL INDIANA? 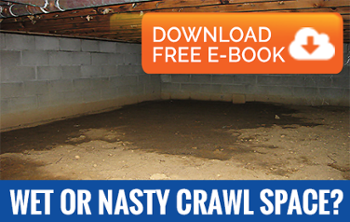 Crawl spaces, basements and attics all pose unique challenges to managing and controlling moisture. If you are from Indiana or have been here any amount of time, you've heard the saying, "If you don't like the weather, just wait 15 minutes." The truth of that saying with regards to our varied and often rapidly changing climate can present unique challenges when it comes to controlling humidity, condensation, and other phenomena that contribute to moisture and mold concerns. While every home and business is different and may require a different approach, we are well equipped to create solutions to moisture control that can prevent conditions conducive to mold growth where you live and work. When it comes to moisture control following a mold remediation, we often tell our customers, "We don't want repeat business, but would love a great referral!" so please let us help you address the root cause of your mold concern so it doesn't return and we don't have to either.